1 Increase your vocabulary. 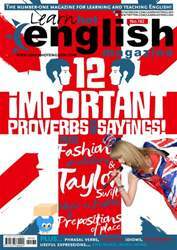 In every issue ofLearn Hot Englishyou’ll learn over 350 English words and expressions! Plus you’ll learn lots of idioms, phrasal verbs, grammar and more.